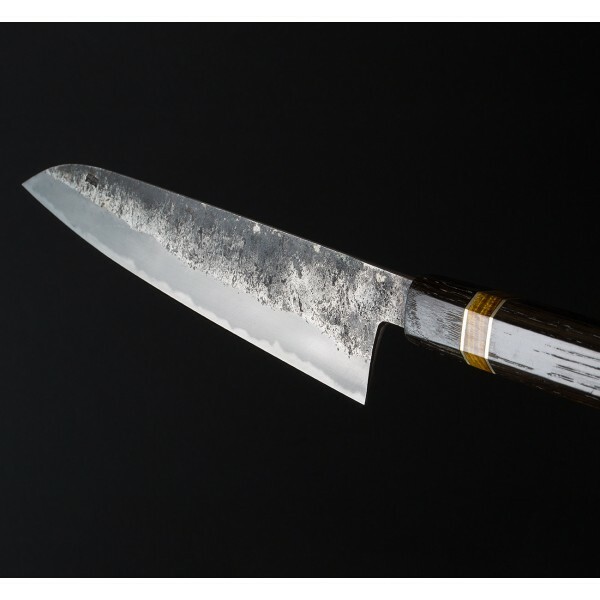 With Bryan's moody kasumi finish applied to his 210mm san mai blade, a stunning gyuto chef knife from France with a custom handle by Anton Kudris of Russia. Bog oak, rumored to be around 5400 years old, gives the handle a stunning look and feel. Decorated with dyed curly maple and nickel spacers, the handle is tough to set down, and nearly impossible to take your eyes off of. 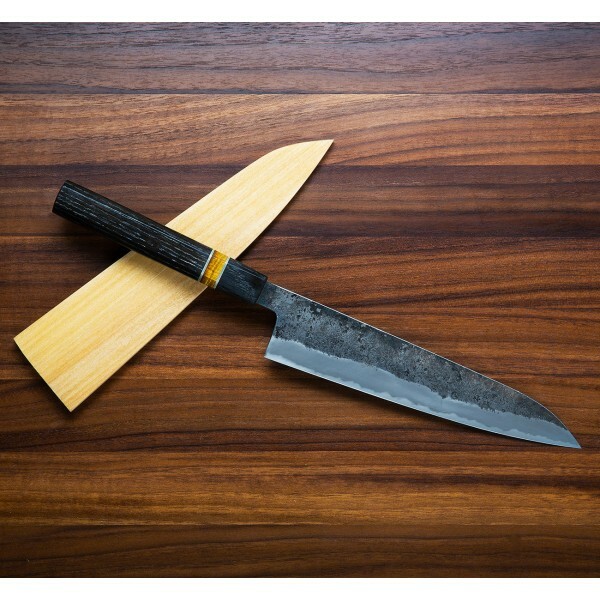 Another stunning chef knife from Bryan Raquin in a size perfect for large and small hands alike. 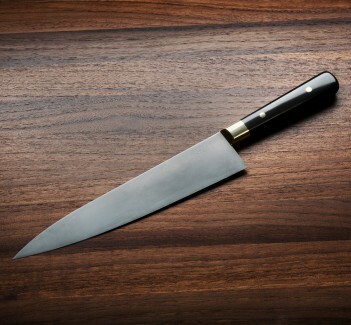 Although it's considered bad form to give a knife as a gift, we would make an exception for this one. Bladesmith Bryan Raquin hand forges knives for the kitchen at his one-man shop in southern France, making his own san mai steel, often sourcing the iron from old cathedrals or even the wheel of a 19th century horse-drawn wagon. Made to be used and designed to be admired, Bryan's work is inspiring, and makes us want to cook! 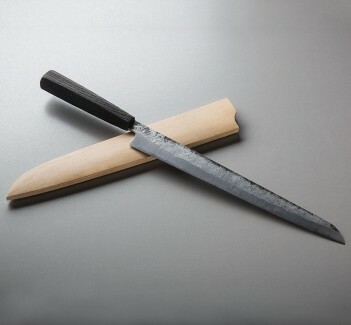 San mai steel, XC10 outer jackets, 145sc carbon steel core. Bog oak handle from Ukraine (appx. 5400 years old) with dyed curly maple and nickel spacers.